The historic city of Hoi An gives way to beautiful rural landscapes on our half-day cycling adventure to the historic Cham ruins of My Son. Our tour winds through from ancient Hoi An to the countryside, past small farms and villages following rural pathways and small roads hidden from most tourist routes. With a refreshing snack and fresh fruit stop en-route, we cycle to the edge of the My Son site, boarding the electric busses mandated by UNESCO to protect the integrity of the temples. The temples and towers of My Son were built by the Cham people, initially Hindu and later of Muslim faiths. The Cham Kingdom once dominated the region and was eventually conquered by the Vietnamese and Khmer. Descendants of the original tribes are now scattered throughout the region, mostly along inland waterways. 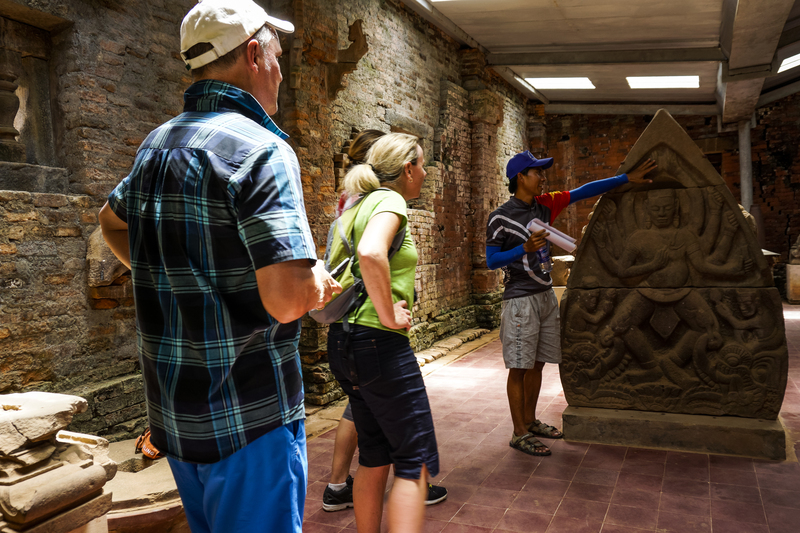 For most experiences on Inspitrip, there are two options: Small Group and Private tour. For both options, you can chat with your local guide and other people in your group even before the trip takes place. Small group tour: operates with a maximum number of people. If you like to make new friends, this is a great option. You would pay for the trip to confirm your slot, then join a chat group with your local guide as well as fellow travel buddies, everything would be on Inspitrip. Get to know them! Cancellation is free if you cancel up to 48 hours before the trip date. We believe that this is the fairest way to ensure that both our travelers and local guides are happy. Does the Small Group option still operate if there are less than the maximum number of people signed up?